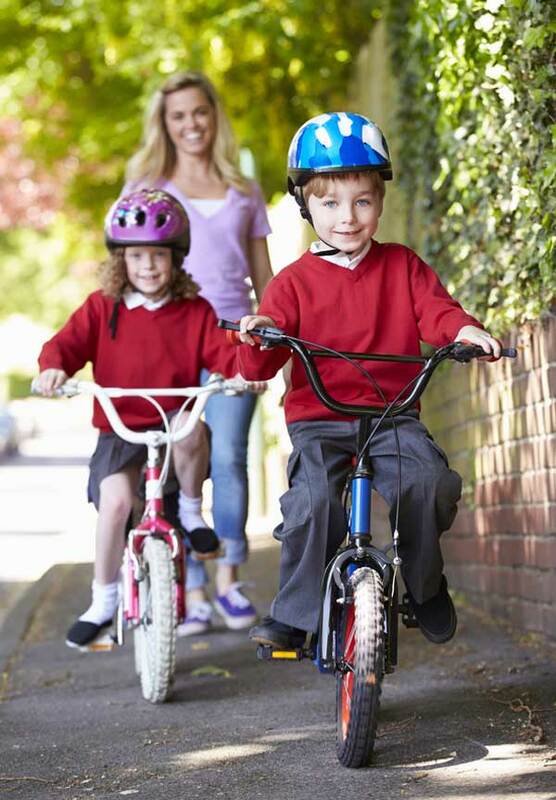 Always wear a properly fitted bicycle helmet. The helmet should sit on top of the head in a level position and not rock forward, backward, or side to side. The helmet straps should form a V under the ears, and should be snug but comfortable. Make sure your bike is ready to ride. Are the brakes working properly, the gears shifting smoothly, and the tires tightly secured and properly inflated? Wear neon, fluorescent, or other bright colors. It’s important to wear a bright shirt, jacket, or vest, even during daylight hours. Front white lights, rear red lights, and other light reflectors should be placed on the bicycle and worn by the cyclist. Use caution riding at dusk or after dark. 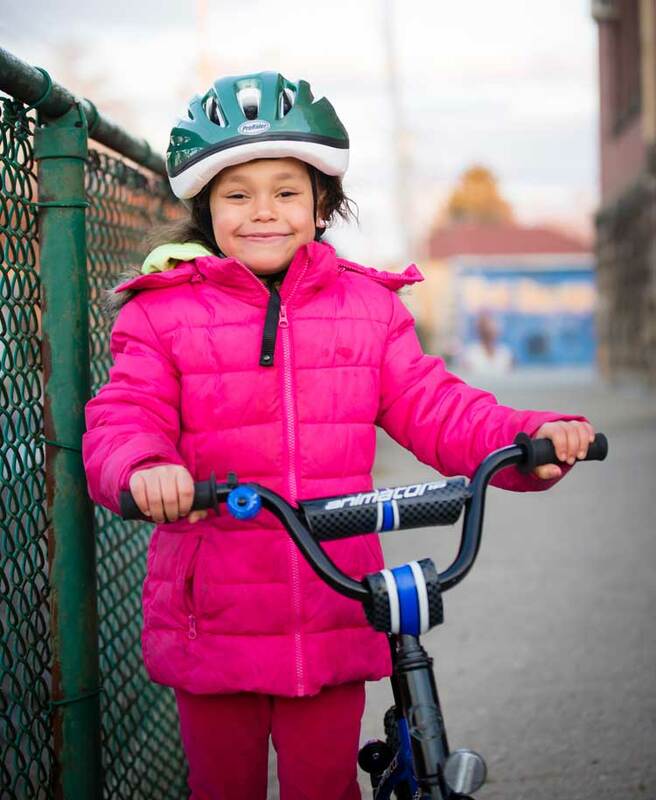 Night riding requires skills and equipment that most children haven’t acquired. Be sure to talk with your child about being seen. Don’t wear headphones or listen to tunes while riding. People riding bikes need to be able to hear oncoming traffic and not be distracted by other sounds. Follow the rules of the road. Ride on the right side of roads, in the same direction as other vehicles. (Almost one fourth of bicycle-car collisions result from bicyclists riding against traffic.) Obey all traffic signs, signals, and lane markings. Use hand signals when turning. Be sure to check for drivers in parked cars. They may open their doors or pull out unexpectedly. Don’t wear long or loose clothing. It can get caught in bike chains or wheel spokes. Make eye contact with drivers. Be sure that they’re paying attention before crossing in front of them or pulling into their lane. Just because you can see a driver doesn’t mean they can see you.